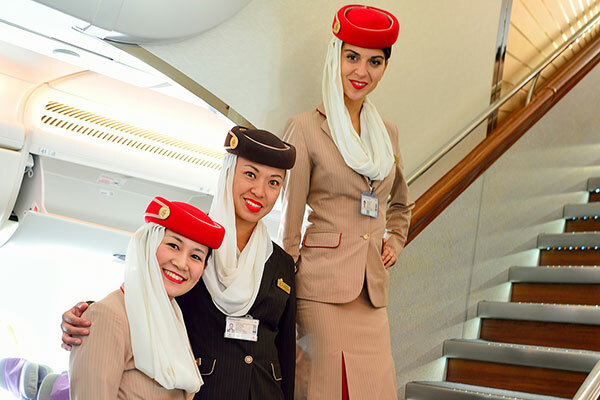 Dubai-based airline Emirates Group is the most popular employer for fresh university graduates in the UAE, followed by international consumer goods company Unilever, according to the latest research by online recruitment firm GulfTalent. The survey found a sharp divide in preferences by nationality. Among expatriate graduates an overwhelming 91 per cent majority favour working for multinationals. By contrast, 63 per cent of Emirati graduates opt for government-owned organisations. Interestingly, salary and benefits only ranked fourth in the key attraction factors. However, the survey did find a significant gap in the expectations of graduates for their starting salary – with salary expectations of Emirati graduate averaging Dh27,000 ($7,350) per month, compared with Dh9,000 for expatriate graduates. About 33 per cent of Emirati graduates surveyed reported already having a job offer prior to graduation, compared with 18 per cent of expats. When asked about their ideal next steps after graduation, 67 per cent of respondents said they wished to start a job, followed by 27 per cent who wanted to continue further study, 2 per cent who planned to join their family business and 4 per cent who aim to start up on their own. Commenting on GulfTalent’s survey findings, several of the country’s leading employers pointed to similar factors as key to their success. Unilever’s vice president of Human Resources for the Mena region, Assaf Al-Quraishi, attributed his company’s popularity to having a “fulfilling, inclusive and dynamic work environment” which young graduates find supportive of their development and progress.